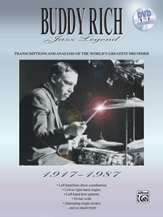 In addition to being a collection of transcriptions of the Buddy Rich solos featured on the Buddy Rich Jazz Legend DVD (00-903792), this publication concentrates on the specifics of "The World's Greatest Drummer's" playing. 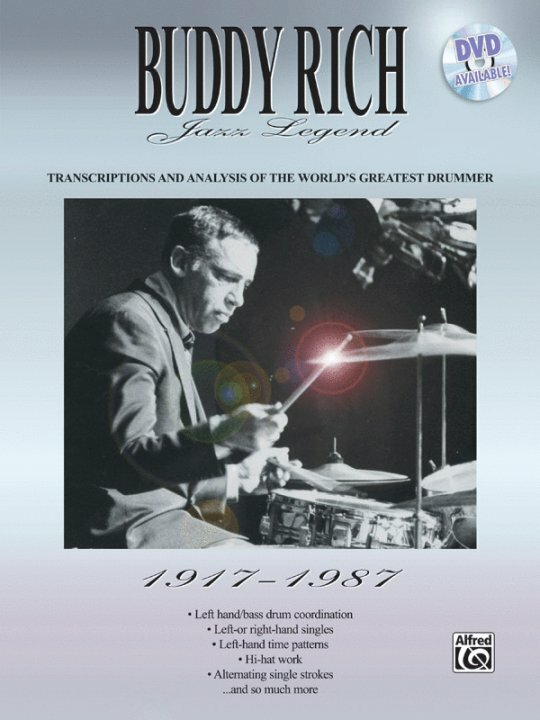 The techniques covered include left-handed/bass drum coordination, drumset crossovers, cymbal patterns, left-hand/right-hand singles, left-hand time patterns, hi-hat work, blisteringly fast alternating single strokes, and various nuances that made Buddy so special. Together with the videos, or by itself, this book is a must for any drummer's library.